With unrivalled elegance throughout, the Spirit 111’ will ooze style, boast unprecedented eco credentials and will be one of a few superyachts capable of sailing without a professional crew due to its innovative deck arrangement. As the largest single-masted wooden yacht to be built since Shamrock V in the 1930’s, the Spirit 111’ is set to be one of the most significant superyachts of recent times. The low freeboard, clear decks and latest sailing hardware will give the sloop-rigged superyacht outstanding performance both cruising and racing. It has been designed at the request of the overseas buyer and existing Spirit Yacht owner to be ‘the most beautiful yacht on the water’. Below, the bespoke furniture is moulded to create an illusion that is was once part of the structure, creating a seamless appearance throughout. Walls and bulkheads are curved and a stunning ‘cocoon’ arrangement created from steamed timber will encase the bed in the owner’s cabin and forward guest cabin. Discreet doors and hidden storage ensure every aspect of the interior compliments, to create a beautiful and exclusive contoured look. The sophisticated yacht includes a spacious cockpit designed for entertaining with two curved seating areas that transform into half-moon sunbeds. The sailing elements are contained in the helm area and forward of the seating area. At the owner’s request, the landmark project will offer optimum performance and comfort, with the addition of impressive green credentials. As one of the most environmentally friendly superyachts ever created, the Spirit 111’ will allow its owner to cruise in comfort for extended periods utilising four high powered lithium battery banks. All power consuming components have been carefully selected to be highly efficient, using minimal power without impacting performance. The batteries can be recharged through propeller shaft regeneration, shore power and from backup generators which are class leading in terms of efficiency and low emissions. Sean comments: “By investing in state of the art energy saving technology, we are creating one of the world’s most environmentally friendly and sustainable yachts, without compromising on performance or comfort. From responsibly sourced wood to carbon-saving systems, this yacht will set a new standard for reducing the impact sailing has on our environment and oceans. 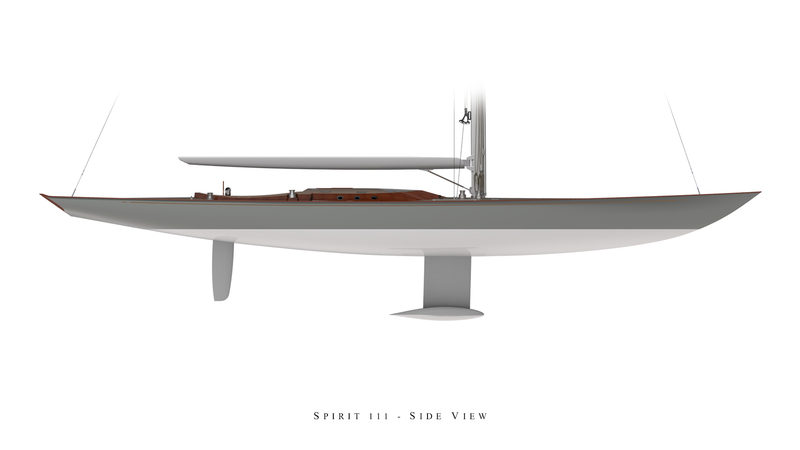 As with all Spirit Yachts, the Spirit 111’ will boast an impressive power to weight ratio offering the option for competitive Spirit of Tradition racing. Laminated timber frames reinforced with a duplex stainless steel central cage for maximum stiffness. 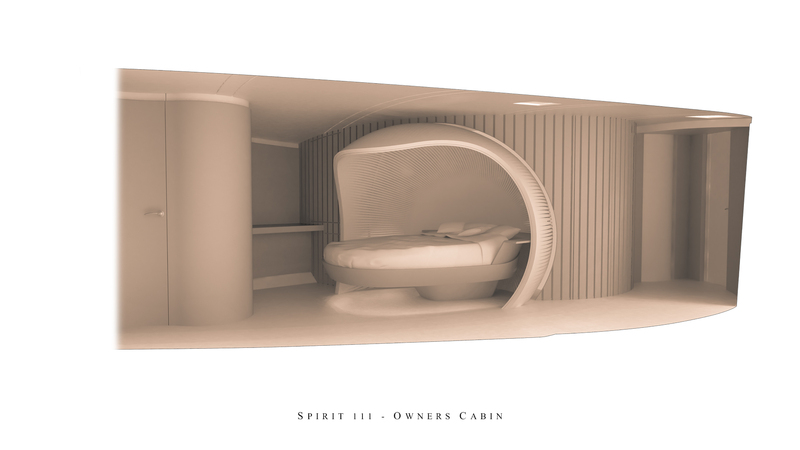 The interior of the Spirit 111’ has been created in partnership with Rhoades Young, Spirit Yacht’s first collaboration with an external design agency. The structural engineering has been created in partnership with Synolo Design and Spirit Yachts in-house Naval Architect. Construction began in April and the Royal Institute of Naval Architects (RINA) approved build is planned to launch in summer 2019.